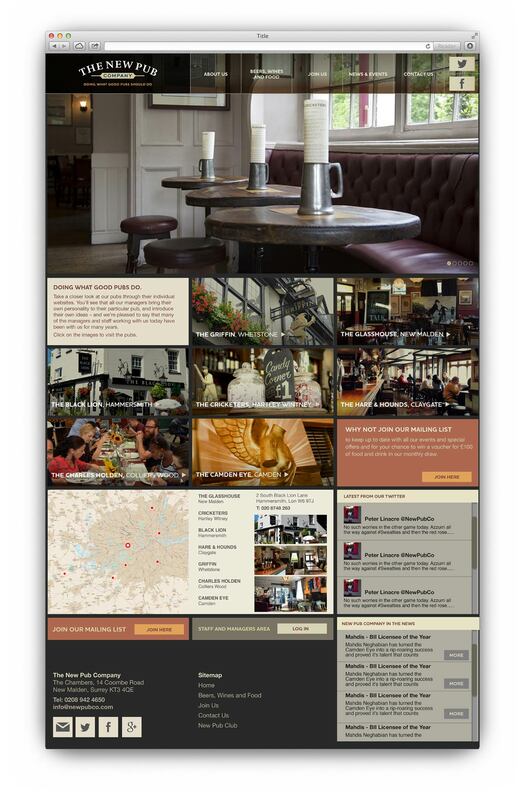 The New Pub Company is a pub group consisting of 7 pubs across the Greater London area. Although the company has been in existence for a few years, it had grown organically and had never had a clearly articulated view of their own brand positioning or a focussed approach to their visual brand identity. 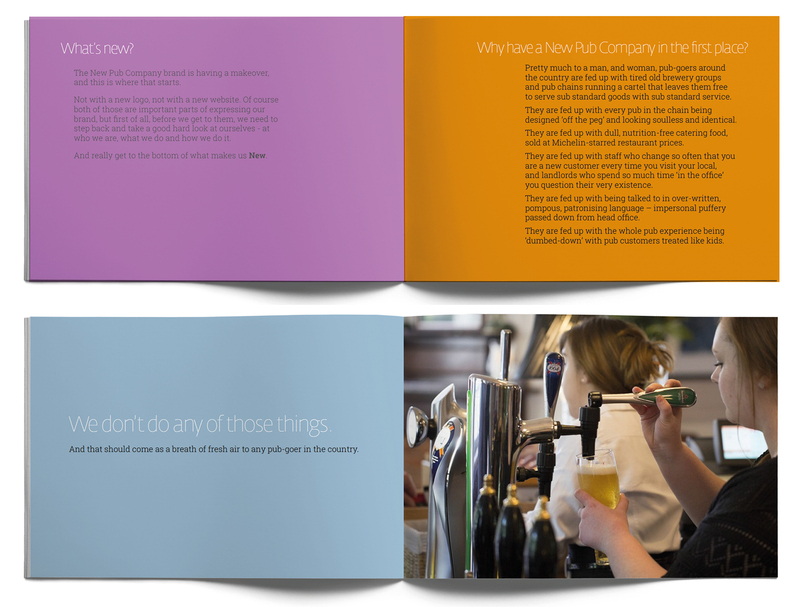 Our initial brief was to create a new visual identity and website for the New Pub Company itself, but as we talked to them it became clear that they themselves were struggling to define exactly what makes them a pub group instead of simply a number of unconnected and dissimilar pubs. Each pub has its own distinct atmosphere and personality, influenced by the manager and the demographics of its clientele, ranging from the laid back traditional country pub ambience of the Telegraph, set amongst the almost rural environment of Putney Common, through to the youthful, urban, cosmopolitan energy of the Camden Eye in the epicentre of London’s nightlife and live music scene. So before we started on the identity itself we worked with the management to identify what the group actually stood for and believed in. We helped them to define and articulate their unique brand purpose and ambition for the company which we documented in a manual and in digital format for their managers and staff teams. 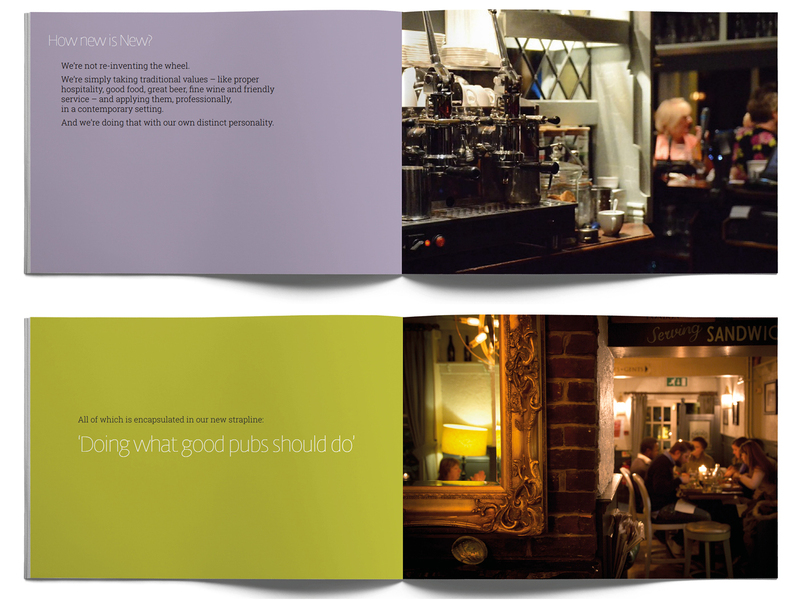 We helped them to recognise what sets them apart from other pub groups and what common values the pubs within their own group share. 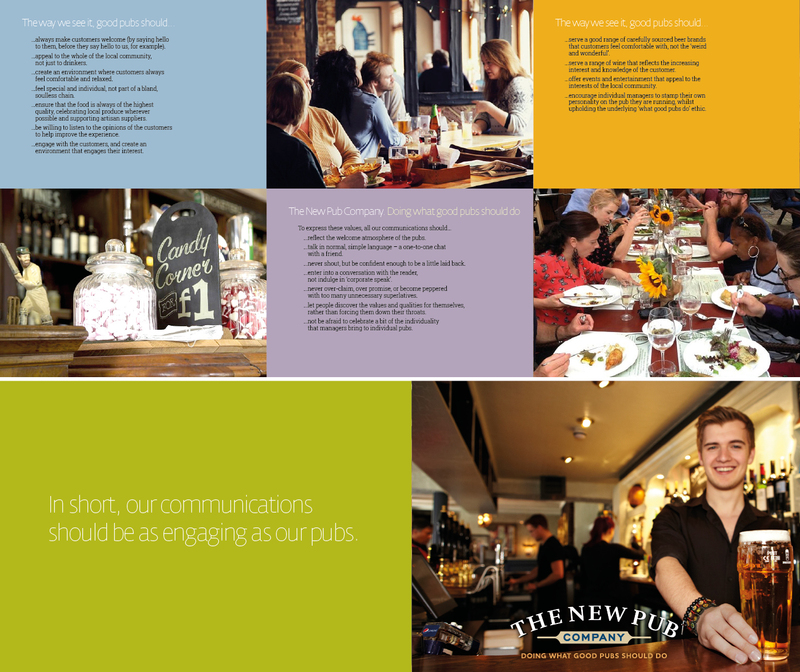 We then used the outcome of that process to craft a new brand positioning strapline – Doing what good pubs should do – and a tone of voice and communications strategy to help the managers and staff to articulate that positioning.